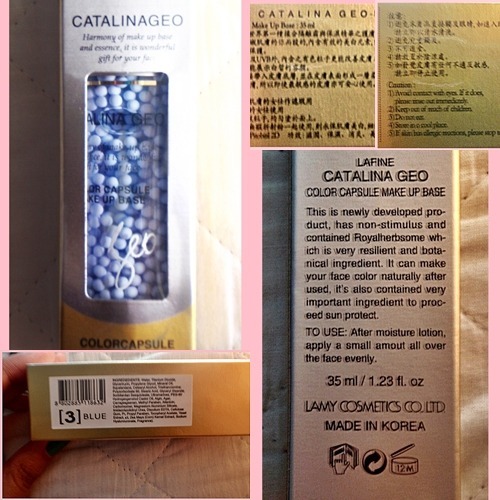 Disclaimer: The following products were sent over by Korea Cosmetics in partnership with Lamy Cosmetics for review purposes. All opinions/ thoughts about the products are my own. The base gives off a blue color. It has a slight foamy texture with a faint floral scent which I am in love with! With regards to its consistency, I find it light and easy to apply unto my face. The essence is easily absorbed by my skin which is a plus point for me as well; it does not give me a sticky nor heavy feeling upon using it. 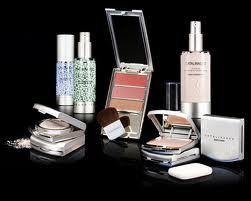 > Supplying sufficient moisture to the skin is the fundamental basis of good make-up application. 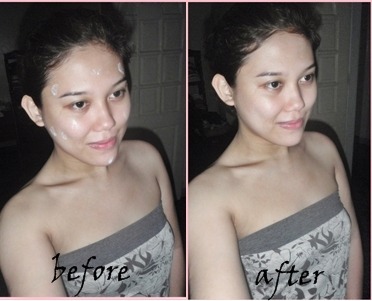 This product alone can prepare your skin for make-up! 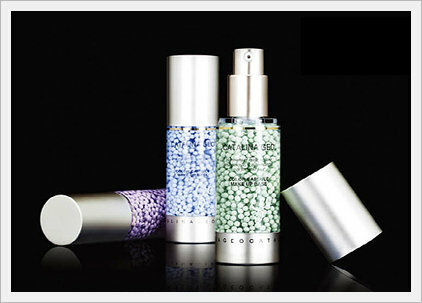 Catalina Geo offers a World First with its color capsule make-up base and essence. The make-up base offers these benefits. UV filters to protect from our harsh environment. / Moisturizes the skin / Oil free / Non allergenic. Applying smoothly and evenly offering a perfect base for your make-up to last all day. Comes in three shades (2, 3 and4) each offering different benefits. No.2 Green This neutralizes red, which makes it perfect for camouflaging red cheeks, broken veins and blemishes. No3. Blue. This is great for people with dark skin or freckles or pigmentation in the skin. No4. Violet This is used to offset shallowness and to give the face a health glow because of its antidulling effect. It’s a great pick-me-up for the face and will help tone down yellowness of the skin. It’s ideal for people with olive or yellow complexions. Step 1: Pump an appropriate amount onto the back of your hand. Step 2: Choose a color matching your skin tone and mix well with the essence ingredient on the back of your hand. Step 3: Smoothly apply onto the skin from the inside outwards in the following order: cheeks -> forehead -> chin ->nose. Step 4: Use a brush to improve the affinity with the skin, and so that the skin tone is more cleanly and evenly distributed. The product assigned for me to do a review on is in the shade # 3. If you look at it it is highly recommended for darker skinned individuals or for those who have freckles or pigmentation; all of which I think I don’t possess. Nevertheless, it did not stop me though for trying out the said product by myself. My only main concern was that when I had it on my face for 3 hours straight, I immediately felt a slight itchy feeling. When I looked into the mirror, I noticed two red spots specifically on my left cheek and chin. so maybe next time I’ll just lessen the time I wear it. I am not sure though if it was an irritation brought about by the base or the bb cream that I’ve used but all I did was to wash my face and put on my trusty recovery mask from The Skin Shop and now my skin is alright!